This picture was taken on tuesday February 10, 2015 at the end of David Russell’s concert in Quebec City at the Palais Montcalm. All the members of Guitar’s TOP 100 listening committee were present. 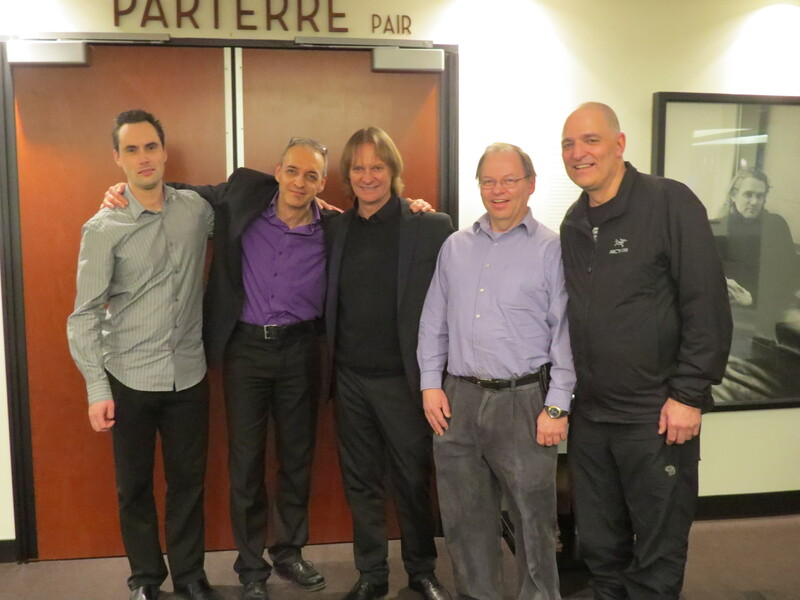 From left to right: Cédric Giguère, Éric Dussault, David Russell, Raymond Skilling and myself, Enrique Robichaud. Great concert which I had the opportunity to hear again 3 days later in Gatineau!